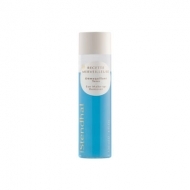 Promotes skin's resilience and firmness. R Merveilleuse - Démaquillant P Matures is a Stendhal cleansing milk especially developed for mature skin. This lightweight and creamy formula offers a cleansing and purifying action and helps to remove impurities and residues. It combats sagging skin, improves elasticity and erases the skin aging. Face appears smooth, clean and fresh.